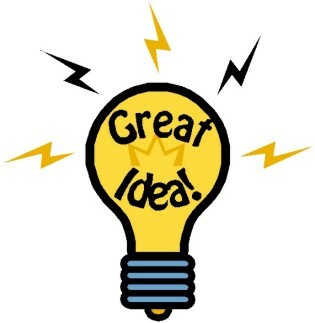 Have you ever come up with a great idea that you think is creative and could maybe make things more efficient and even help your company make more money? Only rather than embrace your idea, it’s dismissed as though your idea is crazy or that you’re out of line for even suggesting it. In the early part of my career, I felt I was constantly running into this. I would see opportunities to improve things and/or save time and money only to be ignored, or worse, belittled. Maybe this had to do with my age and youthfulness. Or maybe it came from a rooted business culture where the big ideas are supposed to come from the top and those at the bottom of the pyramid are supposed to do as they’re told and only speak up when asked. As a consultant, things are a little different now. My clients actually expect and want me to offer my advice and suggestions for improvement—that’s what they are paying me to do. Likewise, I feel it’s my obligation to do so when there is a need or an opportunity, and I thrive on the positive reactions of my clients when I actually help them improve their businesses. Since most of you are probably not paid consultants, you might be wondering how you can get some of your good ideas implemented or at least listened to when you’re not in a position of influence. There is no straightforward answer, and, of course, every situation and company culture is different, but I’ll share a story about one of my first audits in Public Accounting where one of my automation ideas was not well received and how I handled it. The audit manager on my job assigned me the task of doing some procedural testing on a sample of AP checks above $200. I’m dating myself a little here, but this was in the mid ’90s before computers were on every desk and computers in the field were an even rarer commodity. In any event, before I could even do my testing, I had to set up the workpapers, which consisted of large 14 column green-lined worksheets that we had to mark up with lines using a mechanical pencil and a ruler. We then had to manually write in the header information for each column. We repeated this over and over on multiple sheets of paper until we had enough sheets to complete all of our testing. I quickly did the math and determined that based on the number of checks we had to test I would need to prepare almost 15 individual worksheets. I knew it would take approximately 30 minutes to prepare each sheet. At this rate, it would take almost an entire workday just to set up the workpapers with no real output or work done. I sat there frozen for about 10 minutes trying to make sense of this insanity. At the time, I was pretty good at Lotus 123 and was one of the few professionals in our office who understood the program and had a grasp of its capabilities. Thus, a clever idea popped into my head—I determined that I could create a template using Lotus 123 with all our column headings with lines and a professional looking font to boot, and it would only take me about 15 minutes to create on the computer. I could then either print more sheets or go to the copy machine and create more copies as needed. Problem solved. I presented my idea to the manager thinking I would surely get a huge pat on the back and gratitude for my creativity and time-saving idea. On the contrary, I was sternly told, “This is not how we do workpapers here. Go back and do it the way you were shown.” I couldn’t believe it. Was this woman insane? I just offered her a way to not only be more efficient, but also perform a task in less than half the time that was budgeted. That’s pure profit to the bottom line on a fixed fee engagement like this and would make her look like a star to the partner in charge. I didn’t want to give up—partly because I’m stubborn but mainly because I couldn’t mentally get my head around basically doing a craft project for an entire day. I felt that she just didn’t get it, and if I showed her what I was talking about, she would understand and see the light. I figured it would only take me 10-15 minutes to do what I wanted on the computer, and if I could show her my prototype, we would all be on the same page. Well, my strategy sort of worked and yet it didn’t. I showed her my prototype, and then I got chewed out for being insubordinate and wasting valuable time on the job and was reprimanded from taking my own initiative ever again. However, a few minutes later, the senior auditor on the job came over and told me to use my new templates for my testing. He then asked me to teach him how to create similar templates in Lotus 123, so he could create them for other parts of the audit. Of course, he then reinforced that I should not try to think outside the box anymore on this engagement. Ultimately, the manager did see the wisdom in my idea, but, unfortunately in this situation, I also suffered a little bit professionally as a result. What I did learn, however, is that most people aren’t necessarily against change and improvement. 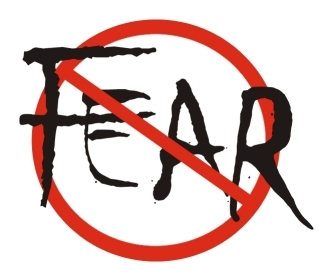 Rather, they fear the risks associated with taking on a new idea. What if it doesn’t do what they say it will? What if it fails and costs us more money? How will my job be impacted if this idea does not work out and I go along with it? Tony Robbins said in one of his books that, “People will do more to avoid pain then they will to seek pleasure.” I believe this is a very true statement and the fear of failure generally will supersede any pleasure gained by implementing the greatest new idea. One thing that I did learn from this experience is that if you can show people how something will work, you can usually get them past their fears and reluctance much faster. If they see it actually working, you’ve eliminated a big part of the risk and fear. At Ei Dynamics, we run into this all the time whereby prospects think that what we’re saying is too good to be true or won’t actually work for their situation. To get around this, if we determine that the problem to be solved is definable and we are confident that we can deliver a solution, we will sometimes offer to make a sale contingent upon delivering a workable solution. We essentially eliminate all risk and doubt with this approach, because we are guaranteeing success. In fact, most of the risk actually transfers back onto our shoulders, because if we fail or do not deliver, we’re the ones who have to eat the clock. If you run up against obstacles in your work environment when presenting new ideas and ways to improve your business operations, try reducing the fear/risk factor by presenting a prototype or working model if possible. Even if it means mocking up fake screen shots or some sample output in Microsoft Word or Excel, I think you will find that a lot more of your ideas will get noticed and pushed forward a lot quicker if the people in charge can actually see and experience first hand what you’re suggesting. This entry was posted in Ideas and tagged change, dealing with upper management, prototype on November 12, 2013 by Robert.